Choose from the following variety of up-close 30 minute animal encounter presentations. Put on your pirate’s best and set sail on a journey through the ZOOribbean in search of amazing coastal and island animals. If it’s a pirate’s life for you, this is one adventure you won’t want to miss! One adult FREE per 10 children. *Add additional $1.00 per person if a tour is added. *Add additional $.75 per student/ $1.00 per paid adult if a tour is added. Reservations Required Two Weeks in Advance. Cancellations: We require a minimum of 24 hours notice to cancel a program. Groups that cancel within 24 hours will be charged a $25.00 cancellation fee. Animals move in many ways. How many can you think of? How many can you imitate? Discover all the right moves and get moving during this lively presentation! 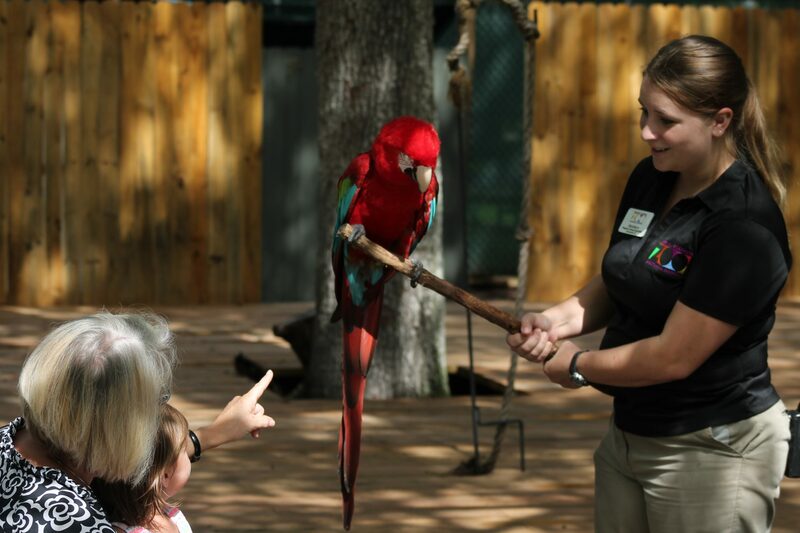 One of the Zoo’s most popular programs, this animal encounter is as educational as it is exciting. Giving answers to questions like, “What makes a bird a bird?” and “How are mammals different than reptiles?” the program is easily adapted for groups of all ages. What do all living things need to survive? From desert to rainforest, animals are found in a variety of habitats throughout the world. Discover how they have adapted to their habitats while meeting animals from different biomes around the world. Meet some of the wonderful animals that share our state, including some you might see in your own backyard. This encounter features Florida’s diverse wildlife including alligators, opossums, or gopher tortoises, and teaches us why it is so important that we become stewards of our state in order to save habitat for these natives. On this educational venture, students will learn about the rainforests of the world as they meet real rainforest animals. They’ll get to know more about this important ecosystem and how it is threatened, as well as ways we can help save it. Travel around the world in 30 minutes. 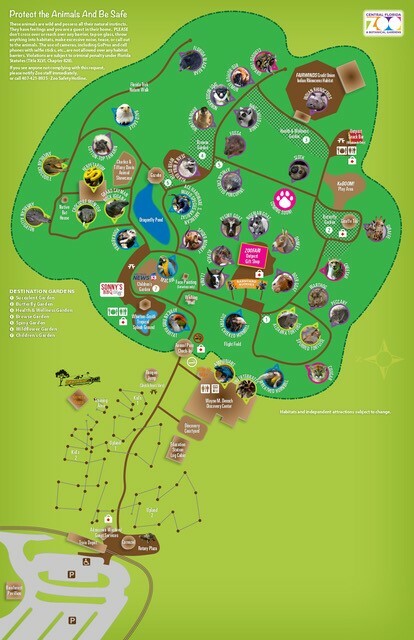 This presentation lets students and groups discover the huge variety of species you can find at our Zoo while learning where each of these animals comes from. Bringing fascinating nightlife to light, this adventure will introduce you to several nocturnal denizens. Discover amazing characteristics and adaptations that have allowed these animals to be successful in the dark, including the kinkajou, frog, or screech owl. You might think they’re a bit strange, but these unique animal adaptations help certain species thrive in their natural habitats. During this encounter, you’ll meet some creatures with strange features for an up-close look at some unusual animal adaptations. Afraid of snakes or spiders? Face your fears with this in-depth program designed to debunk some of the most common myths surrounding some of the world’s most misunderstood animals. Discover why humans fear these “creepy crawlers” and how beneficial they really are to our planet. Reptiles are an incredibly unique type of animal, with many species found right here in our Zoo. Great for both reptile fans and those who haven’t quite warmed up to these cold-blooded pals, this animal encounter opportunity gets you up close and personal with the Zoo’s reptilian residents. Start your group’s fun at the Zoo with a special animal encounter and enjoy meeting a variety of amazing animals. This exciting program is designed for groups of all ages to experience the thrill of meeting live animals up close.